In the “Go Green” movement, all too often yards are forgotten and, in fact, many yards are the antithesis of green. The first and most important step is to “Go Native,” to favor native plants and wildlife-friendly practices. Pat Sutton will showcase native trees, shrubs, vines, wildflowers, and even weeds that are most beneficial to birds and other wildlife. From the perspective of a life-long naturalist intimate with the workings of the natural world, Sutton will share countless common-sense garden maintenance techniques that will help property owners avoid common practices that actually harm rather than benefit wildlife. In addition to the obvious (bird feeders, bird houses, and bird baths), this program is packed with the “how’s and why’s” of attracting birds, butterflies, dragonflies, and other wildlife to your backyard, no matter how small or how urban. In rapidly developing regions, backyards are critical wildlife habitat for nesting, migratory, and wintering birds, as well as frogs and toads, butterflies, dragonflies, and other beneficial insects. Learn how to create a wildlife refuge right out your own back door — a refuge for you and for all wildlife! NJ Audubon’s new website came on line April 16, 2018 and these materials are not yet available. Call them (908-204-8998) to learn how to access this 2-parted article and list of recommended plantings. 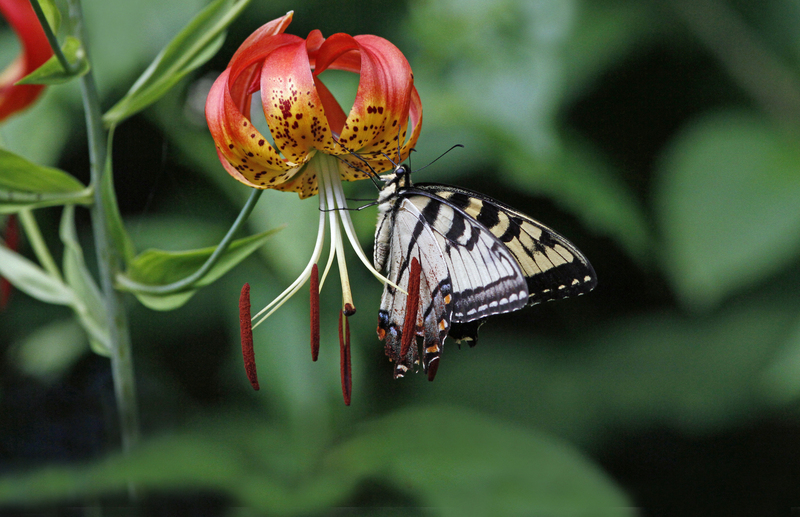 Warning: when you read the article and recommended plantings list, please cross out and DO NOT PLANT Butterfly Bush, a proven invasive native to China – providing nectar only – where our native perennials provide nectar AND are important caterpillar plants. Same is true for Rose of Sharon.